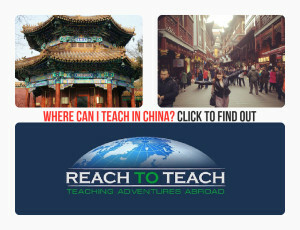 Teach English in Shenyang with Reach To Teach! 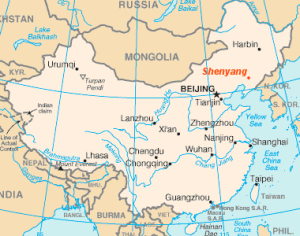 Shenyang (沈阳市) was formerly known as Mukden. It is located in the Northeast of China and is the largest city in Liaoning Province. 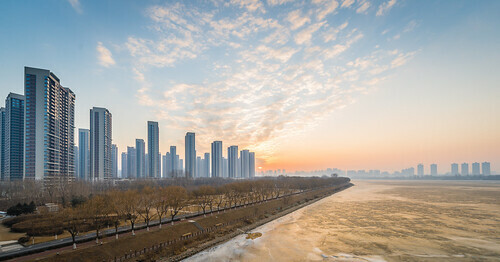 The urban area of the city is home to 6, 244, 921 inhabitants whereas the total population of the Shenyang municipality soars to around 8, 106, 171. The name ‘Shenyang’ is actually a reference to the Chinese idea of Ying and Yang. Translated, Shenyang means ‘to the yang side of the Shen River’, which was a name formerly given to what is now known as the Hun River. The river lies on the South side of the city. The ‘yang’ side of the river means ‘sunny’. 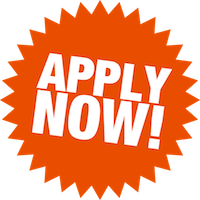 A 120-hour TEFL certification. 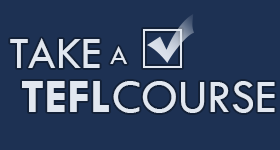 Online courses are fine, but go with a TEFL provider that will provide you with a certificate that does not have ‘online’ stamped across the front of it. The earliest human settlements in what is now known as Shenyang date back to as long as 8,000 years ago. The remains of the Xinle culture, which is a Neolithic period society, can be found in museum in the northern parts of Hanggu District. If you visit, you can be sure to find a re-creation of what village life was like for the Xinle people. You’ll also view one of the oldest wood sculptures in the world! The name of the city has evolved over time, originally known as Hou City. It was also known by names such as Shen Prefecture, Shenyang Circuit, and Shenyang Zhongwei. Shenyang has had its fair share of history, including wars and strongholds held by both Russia and Japan, and a particularly large battle called the Battle of Mukden. It has seen warlord eras, Japanese invasions, and has had to adapt to post-World War II life. Mukden Palace – This is a must see if visiting or living in Shenyang, this amazingly grand building was one the imperial palace and was first built in 1625. The style of architecture is very distinct and the palace includes many rooms including the Ten Princes’ Pavillion, Phoenix Chamber, Dazheng (Grand Politics) hall, Chongzhen (Golden Chimes) plus many more. Be sure to visit on a Saturday afternoon to catch the grand imperial procession. Zhaoling – This is the resting place and the tomb of the second Qing emperor, Huang Taiji and his escorts. The tomb itself took a whopping 8 years to build and is an interesting fusion of traditional Machu and Chinese architecture. 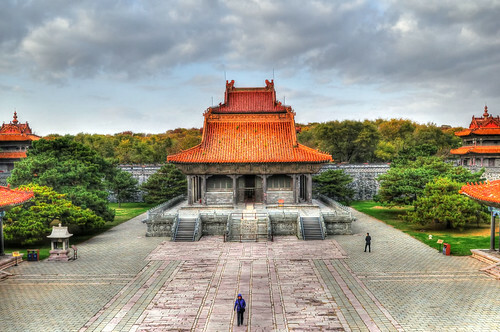 Fuling– Another tomb of a Qing dynasty emperor, Fuling boasts being the first in which Nu’erhachi is laid to rest, he was the founder of the dynasty. The structure itself dates back to the early 17th century and to the east is a large area of parkland. Liaoning Provincial Museum – This museum has free entry and can be found in the Shenhe district and is open until 16:00pm. This museum comes highly recommended to those interested in early Liaoning history. They have very good exhibits from the early Stone Age to the Qing dynasty. You can also find some fine calligraphy and artwork as well as relics from China’s history. 9.18 Memorial Museum – This museum is dedicated to one specific event that happened in Shenyang’s history. On September 18th, 1931 a bomb exploded alongside the Japanese run railway line. The story goes that the Japanese instigated the bomb, but the Chinese were the ones that were blamed, thus giving the Japanese their excuse to invade and occupy the North East of China. The museum is actually built on the spot where the bomb went off. Be warned that this museum doesn’t hold back on its presentation of war and is known to be mainly from a Chinese perspective. Xinle Site Museum – Located in the Hanggu District this museum was built after finding the remains of a 7000-year old Stone Age village. The museum will walk you through the archaeological find and has even reconstructed the village. All signs and labels are in both Chinese and English. Royal Ocean World – This can be found in the Wanghua District and lays claim to being the biggest aquarium in Asia, definitely a must see. They are still expanding this gargantuan marine hub today and currently they have four displays that are open. You can go to the Ocean World display to see all manner of sea and freshwater life, the Century Forest will guide you through a variety of reptiles. Go to the Narnian Castle to see animal shows and Susu World which is a soft play for children. Shenyang Horticultural Exposition Garden – For this you will need to venture to the Dongling District. What was once the International Horticultural Exposition in 2006 is now one of Shenyang’s biggest tourist attractions. It still runs as a horticultural expo, they display gardens from different regions in China as well as their famous Lily Tower, a huge structure based around the Lilly flower. Flowers not your thing? Don’t worry; they have a theme park for you thrill seekers to enjoy.